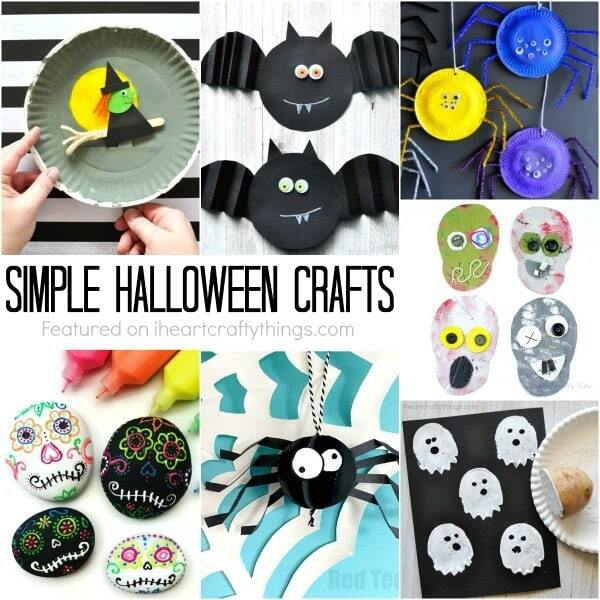 Halloween is two weeks away so it’s time to get crafting up something cute with your kiddos. 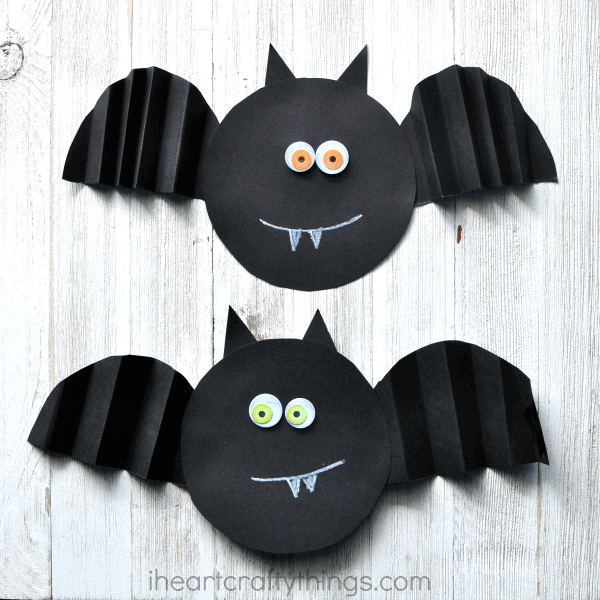 This simple accordion fold paper bat craft is perfect. It’s simple enough that toddlers can enjoy it and older children will have fun too. After making them you can hang them up on a string from the ceiling around the house for Halloween decoration or tape them up in your front window to greet trick or treaters. 1. 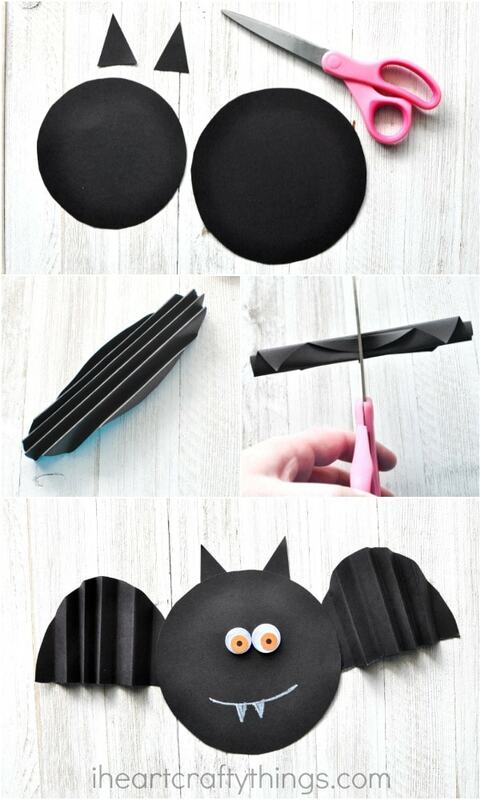 Download and use our paper bat template or cut out two circles (one smaller than the other) from your black cardstock and two triangle bat ears. We traced two different sized bowls with a pencil to get our circles. We used the smaller one for the bat face and larger circle for the wings. 2. Fold your larger circle accordion style. 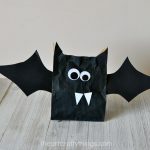 This is not only great for working fine motor skills but the accordion fold gives the paper bat craft awesome texture. When you are finished folding the circle use your scissors to cut the circle in half. Now you are left with two bat wings. 3. Glue your bat wings onto the sides of your other circle. Glue your bat ears onto your paper bat. Glue your googly eyes onto your bat. 4. 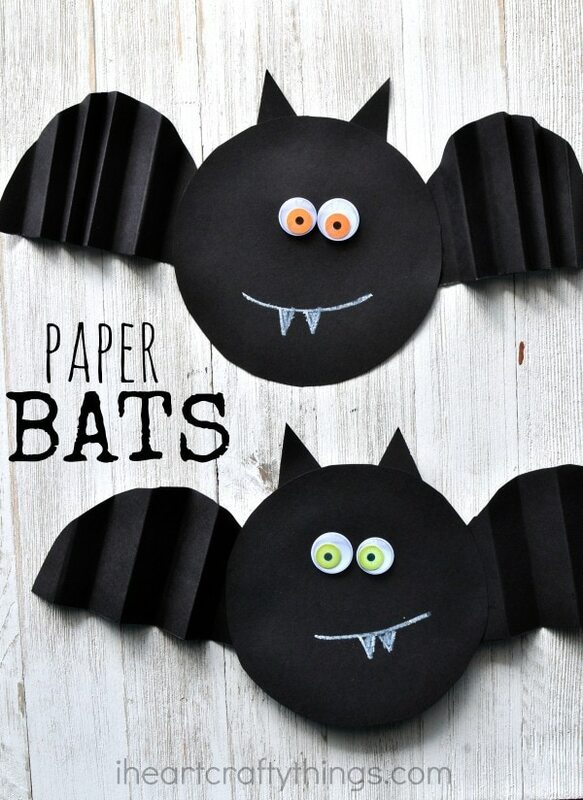 Finish your paper bat craft by using your white crayon to draw a mouth and some spooky vampire teeth onto your bat. Learn about shapes while making this cute Witch Paper Craft. Having it created out of shapes makes it a perfect craft for young kids. 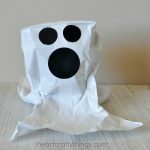 These little ghost puppets are easy to make and so much fun for kids to play with. Whip out some small paper plates and have fun making these colorful paper plate spiders. You can attach a string to them and let them hang from the ceiling for a fun Halloween decoration. Love these friendly looking bats! Great for little ones. 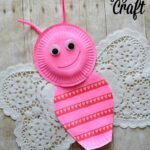 A cute, quick and easy craft! Thanks! I’ll use it with my first grade. I like that it takes just two triangles and two circles. First I’ll let them try to guess how that will end up a bat!